Glenn Martínez is professor of Hispanic Linguistics and chair of the Department of Spanish and Portuguese. His research focuses on sociolinguistics and applied linguistics of Spanish-speaking communities in the United States and along the U.S.-Mexico border. He has written seminal works in the historical sociolinguistics of Spanish in the Southwest, and he has made significant contributions in the area of language policies affecting Spanish-speakers in the United States. He has also written extensively on the teaching of Spanish to heritage learners. 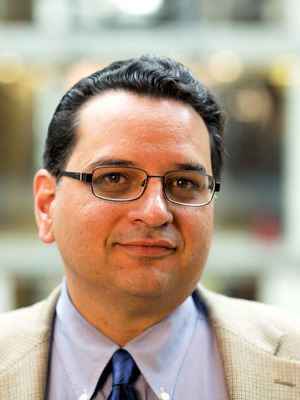 Professor Martínez's most recent line of research is in the area of language and health care. In this vein, he has published extensively on language policies in the health delivery system in the United States and abroad, on the linguistic practices of Spanish-speaking patients and providers in healthcare settings, and on the development and evaluation of language pedagogy for healthcare professionals. Before coming to Ohio State, Professor Martínez served as chair of the Department of Modern Languages and Literature at the University of Texas Pan American and as director of the Spanish for Heritage Learners program at the University of Arizona. Professor Martínez has led a number of major projects funded by the United States Department of Education, the National Endowment for the Humanities, and the Secretaría de Educación Pública in Mexico. He has completed a post-doctoral fellowship in health disparities at the University of North Texas Health Science Center and an American Council on Education fellowship at Arizona State University.